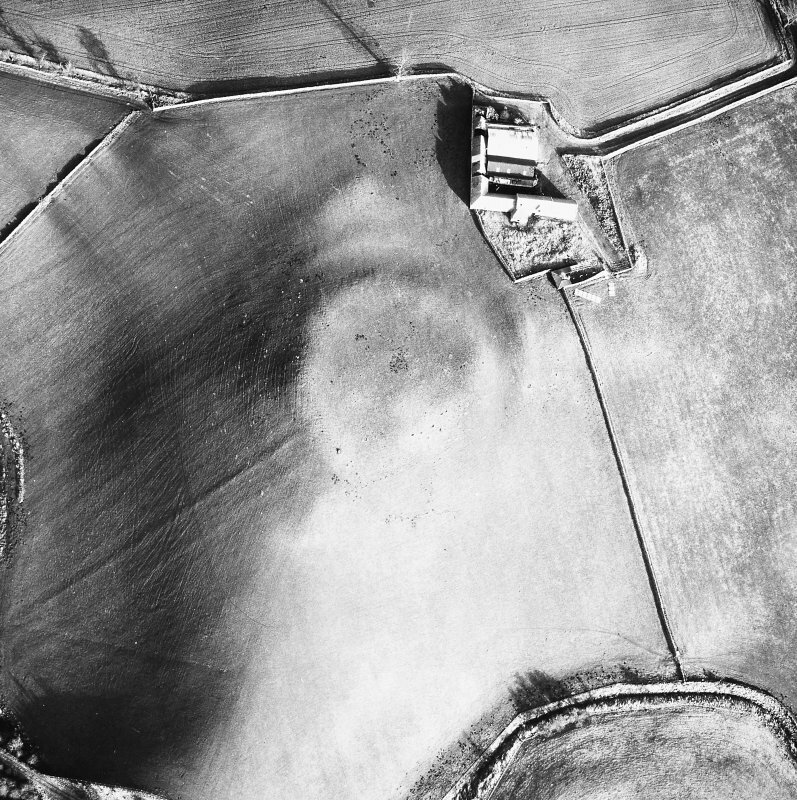 Aerial view of The Chesters. There are the remains of a medieval fort on a spur of land to the west of The Chesters farmsteading. Roughly circular on plan, the fort measures 50m in diameter across the interior, and is enclosed by two earthen banks, divided by a broad ditch. On the north and south sides, the ditch and outer bank are no longer visible on the ground. 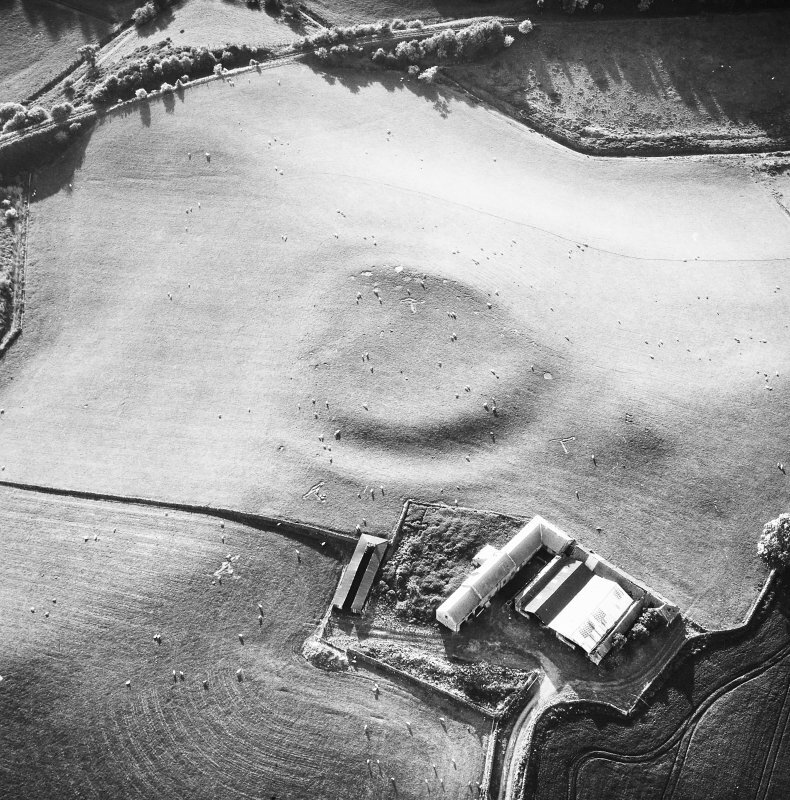 This earthwork may have surrounded a settlement or an important administrative site. The interior buildings were probably constructed from timber; these have left few traces, either on the ground or in aerial photographs. 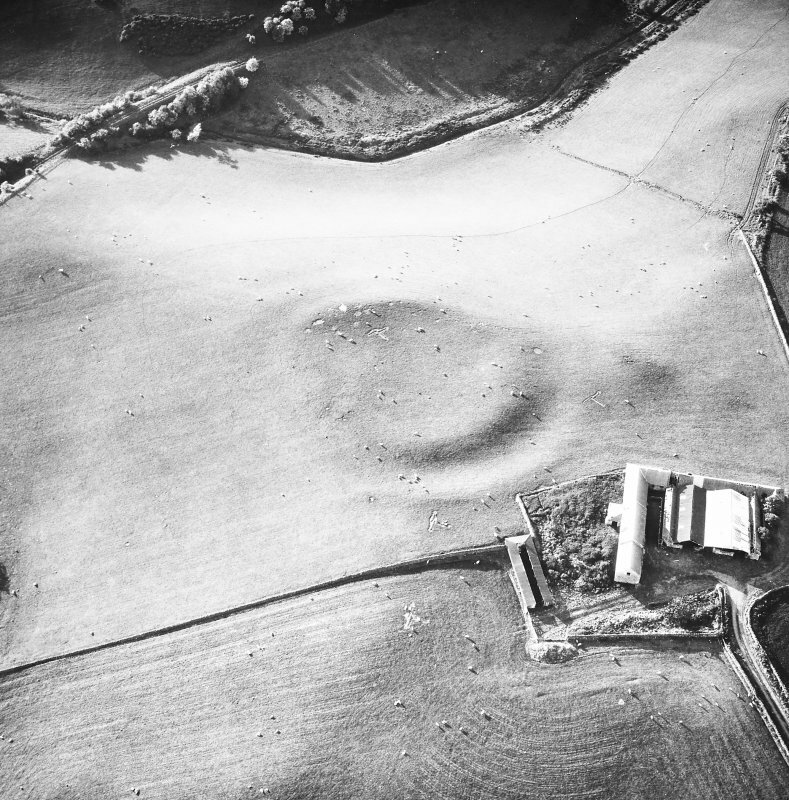 A sub-circular fort measuring 62.0m NW-SE by 52.0m transversely, situated on a spur with a level approach from the E. The remains, much reduced by ploughing, consist, in the E, of an earthen rampart 1.5m high and a ditch 1.0m deep, with a simple scarp elsewhere. The interior is featureless. The RCAHMS 1915 plan, fig.82 shows a second rampart and ditch on the SW and suggest that it formerly encircled the fort. There is now no trace of this outer defence which is likely to have existed only on the E since elsewhere it would have been well down the natural slopes (D Christison 1895). Visited by OS(JP) 11 December 1970. 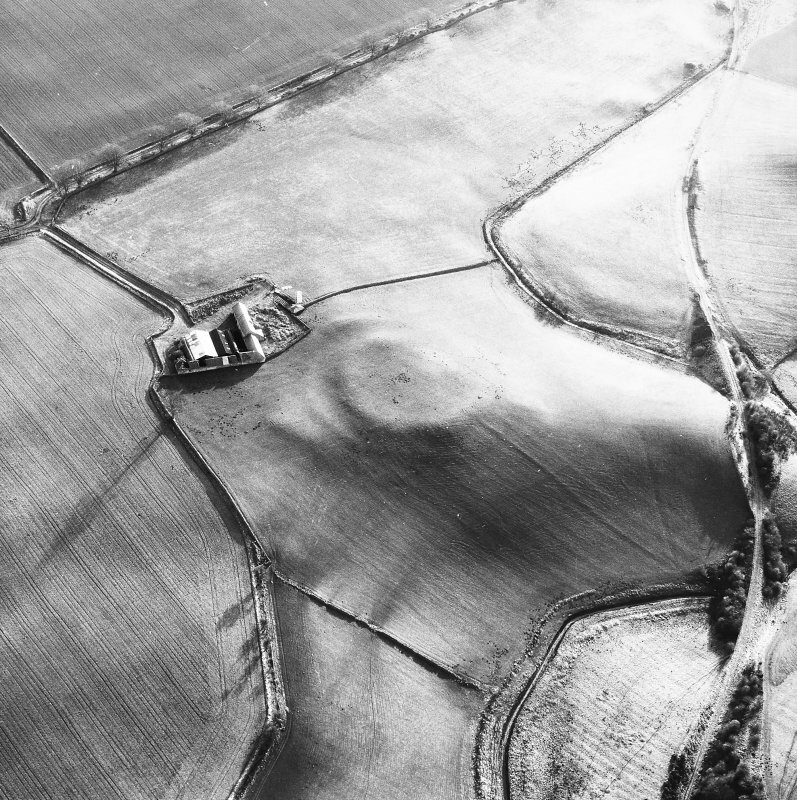 This circular earthwork measures 50m in diameter within double banks and a broad medial ditch; on the N and S the ditch and outer bank have been removed by cultivation. 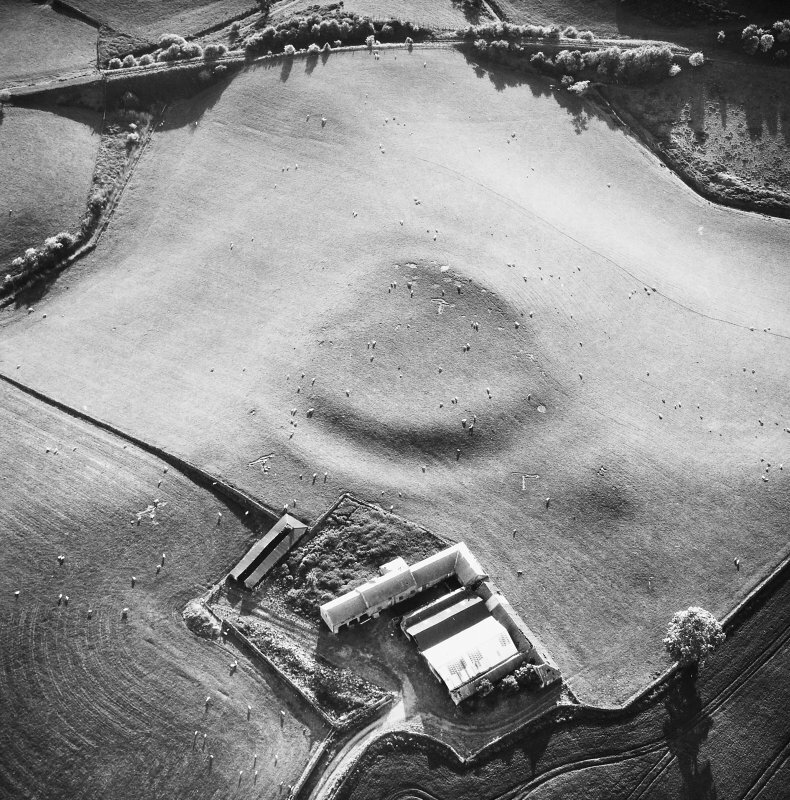 The earthwork is probably of medieval date. 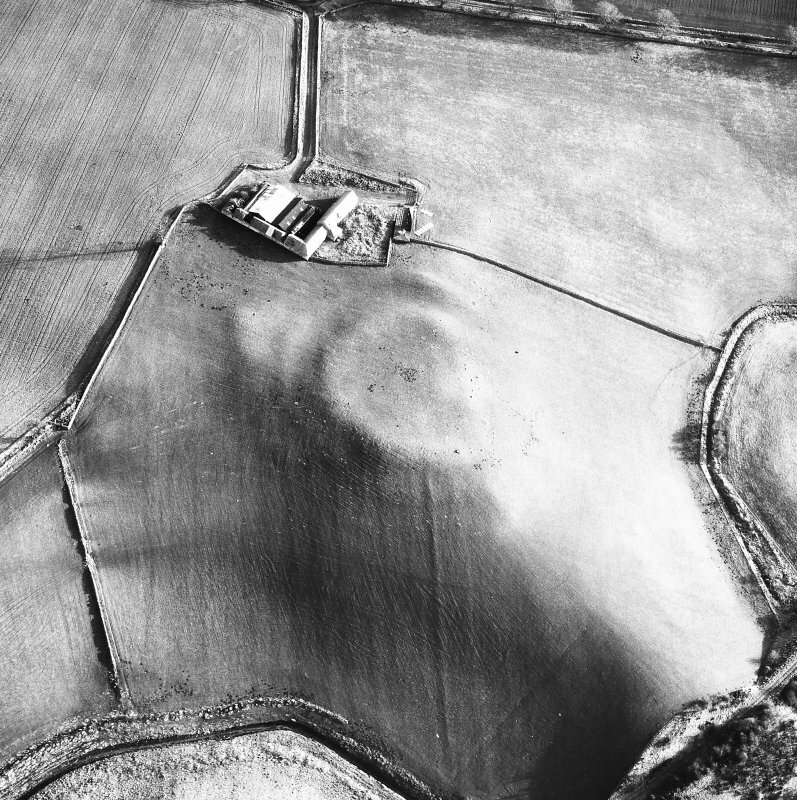 Visible on Ordnance Survey large scale vertical air photograph (OS 70/364/113). This small fortification is situated on a spur projecting WNW immediately to the rear of the recently restored house in the old steading at Chesters. 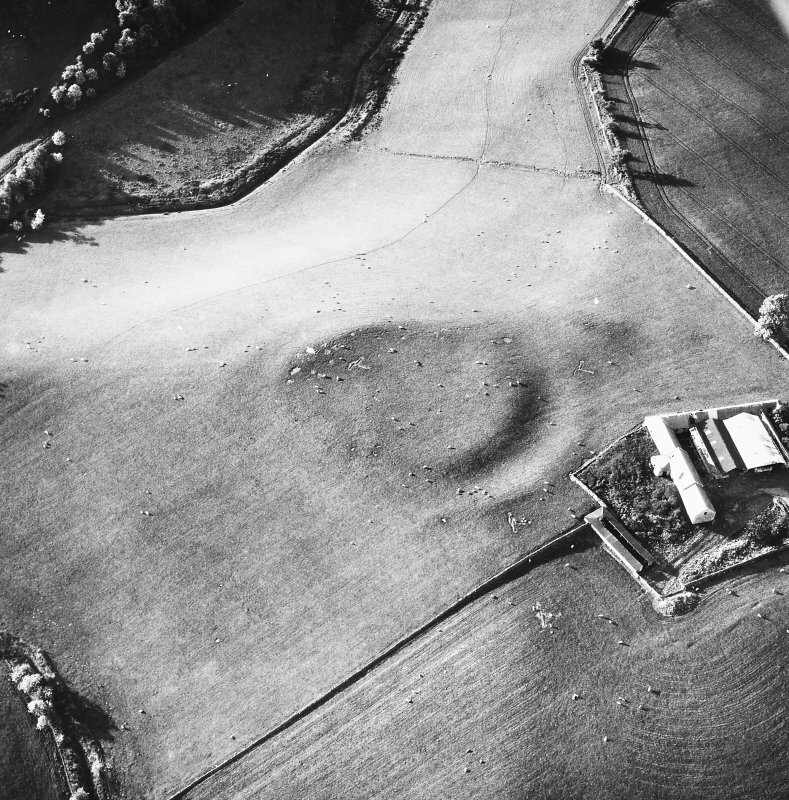 Roughly circular on plan, its defences are relatively massive, comprising two ploughed-down ramparts with a medial ditch forming a belt some 30m deep. On the E, where best preserved, the inner rampart is spread some 15m thick and stands 1.2m high internally and 1.5m above the bottom of the ditch, which is up to 13m in breadth, while the outer rampart is 10m thick and though it rises 2m above the bottom of the ditch, externally it is no more than 0.4m high. 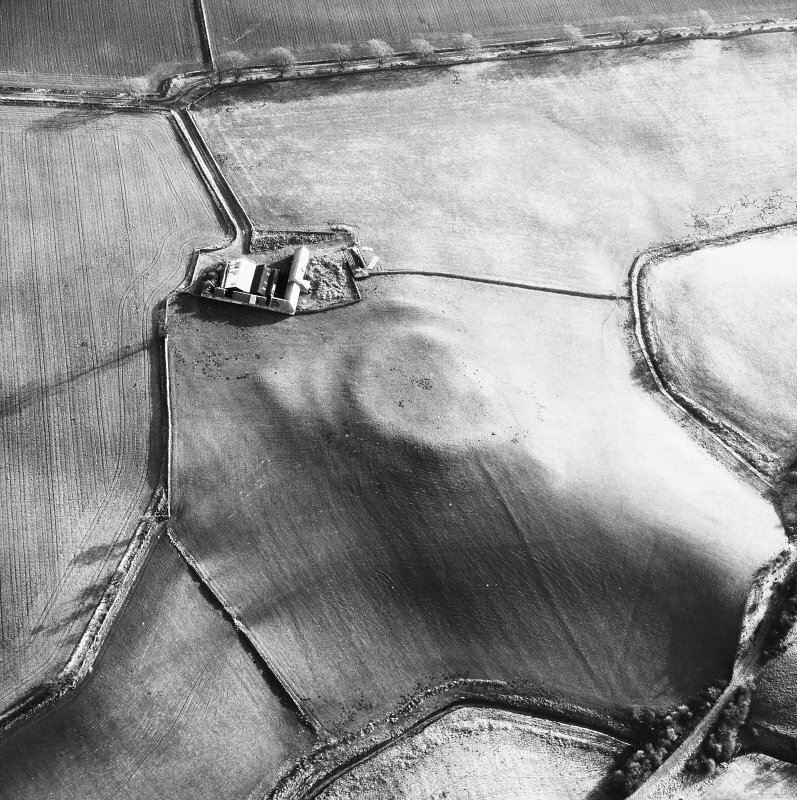 James Hewat Craw also depicts an outer ditch on the SE, but aerial photographs show that only the faintest of traces of such a feature can now be detected here. The featureless interior measures about 50m in diameter and though the entrance is not visible it may have lain in the most heavily damaged sector on the SW. 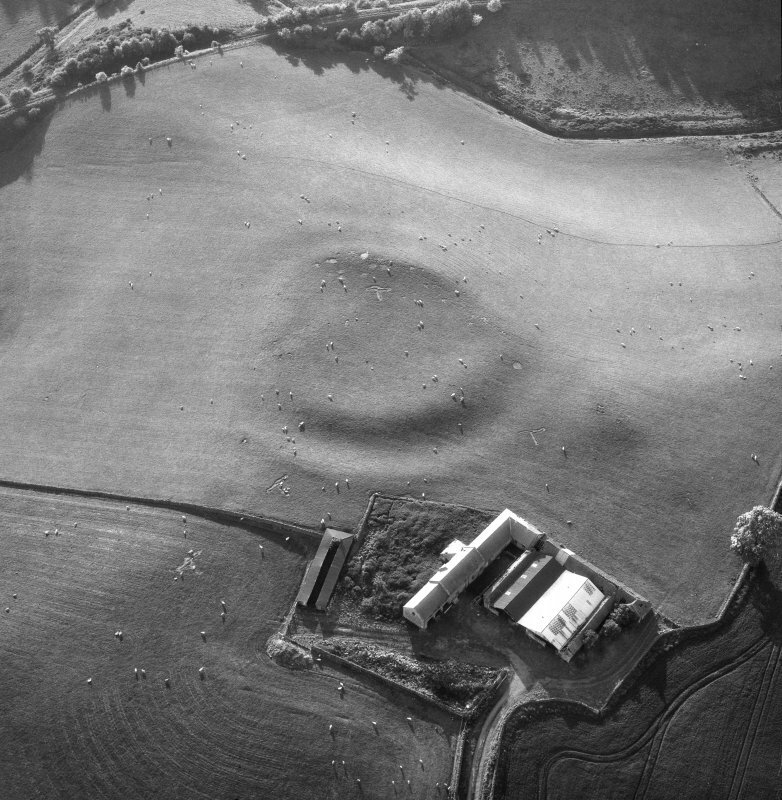 The relatively massive scale of the defences has led to the suggestion that this may be an undocumented medieval ringwork.